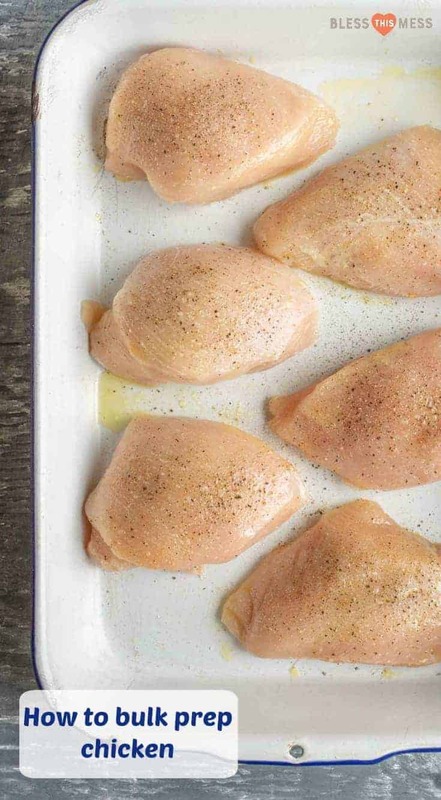 Here are the 8 secret steps to making the most delicious baked chicken breast known to your kitchen. Nothing is worse than cutting into a nice piece of chicken breast and finding that you’ve overcooked and it’s dry and tough. I’m sharing with you today my fool-proof way to make the best chicken of your life. It takes a little more time and effort but the results are always worth it in the end. Every time I get lazy and skip a step, I regret it when I sit down to eat. A little planning goes a long way, and it’s worth it when it comes to a perfectly cooked piece of chicken for dinner. I know this sounds like a lot of work but it is worth it!!! People are all into brining whole turkeys on Thanksgiving, but we don’t add this important step to our weeknight meals. Just. Do. It. A simple brine can be made by adding 1 tablespoon of salt per cup of water. 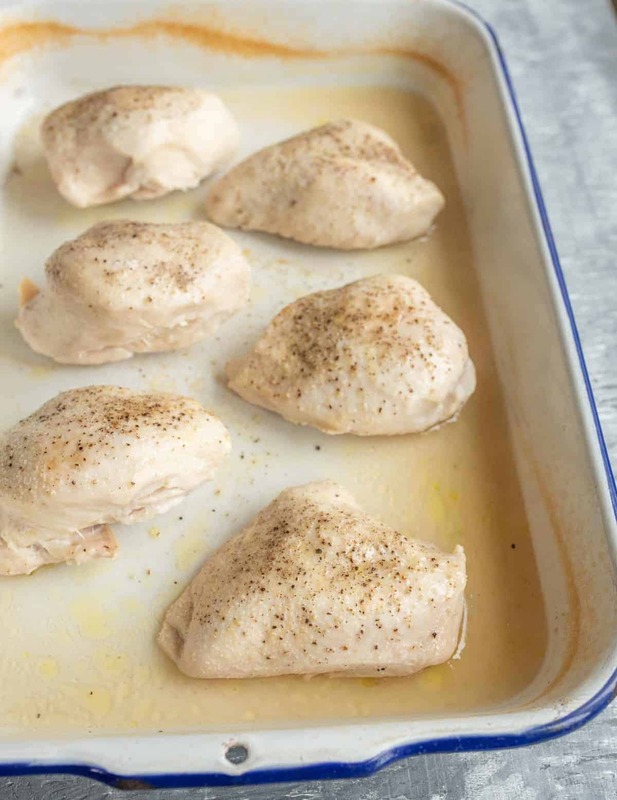 I wanted to make 4 large chicken breasts one day so I mixed together 4 cups of water, 4 tablespoons of salt, stirred until the salt was dissolved, and then poured my brine over my chicken in a bowl. I popped on the lid and let it sit on my counter for about 30 minutes. 30 minutes is ideal. You can get away with brining for as little as 15 minutes or as long as an hour, but any more or less than that isn’t worth the time or will make the chicken too salty. Brining will make your chicken moist and flavorful, and also helps to bring the chicken to room temperature which is helpful for cooking it. It’s easiest to have the chicken brine in a bowl or a baking dish instead of a plastic bag. Chicken breasts are thicker on one end than the other; that’s just how they come. 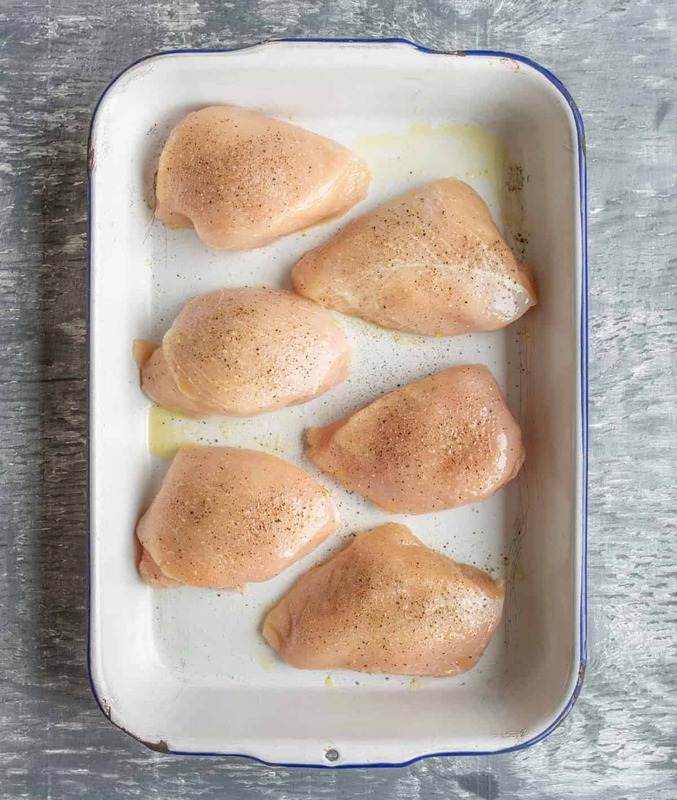 If you want them to cook evenly, then you’ll want to use a meat cleaver (or a rolling pin) to flatten the thickest part of the chicken so that it’s a uniform thickness all over. I put my chicken is a thin plastic bag before whacking it on one end to keep the juices from getting everywhere. Removing any extra moisture from the outside helps the chicken to crisp up nicely when cooked. Just use a few paper towels or napkins to pat both sides dry. 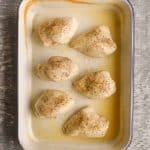 A little bit of melted butter or oil gives your chicken breast some flavor while helping the outside cook nicely without drying out. It also gives the seasoning something to adhere to. I love to use melted butter because it adds the most flavor. You could also use olive oil. Plan on about one teaspoon of melted butter or oil per chicken breast. Be sure to coat both sides of the chicken. This is the time to make this meat shine! You can go as simple as salt and pepper, or you can make your own seasoning blend. I love 1 tablespoon of salt, 1 teaspoon of pepper, 1 teaspoon of paprika (smoked is awesome), and 1 teaspoon of garlic powder. This is enough for 4 large chicken breasts or 6 small. I like to mix this together in a bowl and then sprinkle it on both sides of my chicken breast. If you have a favorite seasoning blend (I love Montreal Steak Seasoning on everything), this would be a great time to use it. Here’s where things get fun! The first 5 steps are the same and then you can decide how you want to cook the chicken breast, adding variety to the dinner table. When I’m prepping a lot of meat for the week, I’ll do steps 1 through 5 for a big batch of chicken (around 4 pounds) and then I’ll bake some, grill a few, and pan sear a few others. I think the cooking method makes them taste different, and I use them in different things. I highly recommend buying an instant-read meat thermometer. I bought this simple one for around $10 on Amazon and I’ve been using it for 3 years (and I changed the battery for the first time just last month). It’s a life saver! No more guessing if your chicken is done or not, and no more overcooking “just to be on the safe side”. Make sure when the chicken is done cooking that you wait 5-10 minutes before cutting into it. This give the juices inside the chicken time to redistribute into the meat. If you cut it too quickly all that goodness will end up on your cutting board and you’ll end up with a drier chicken breast than if you had waited. Good things really do come to those who wait. 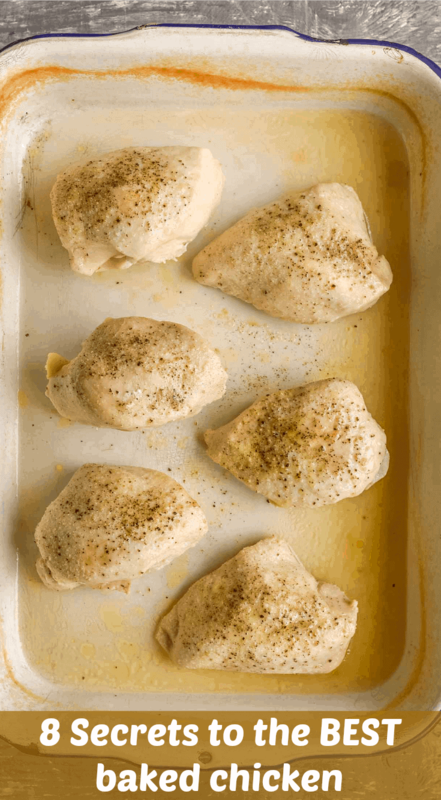 Enjoy the best baked chicken breasts you’ve ever had! A few little tricks like brining, pounding the meat to a uniform thickness, using a thermometer to determine if the meat is cooked through, and letting the meat rest after cooking will really change your chicken game. Add the salt and water to a large bowl and stir until the salt dissolves. Remove the chicken from the water and pat it dry with paper towels. If the chicken is uneven in thickness, gentle pound the chicken into a more uniform thickness. 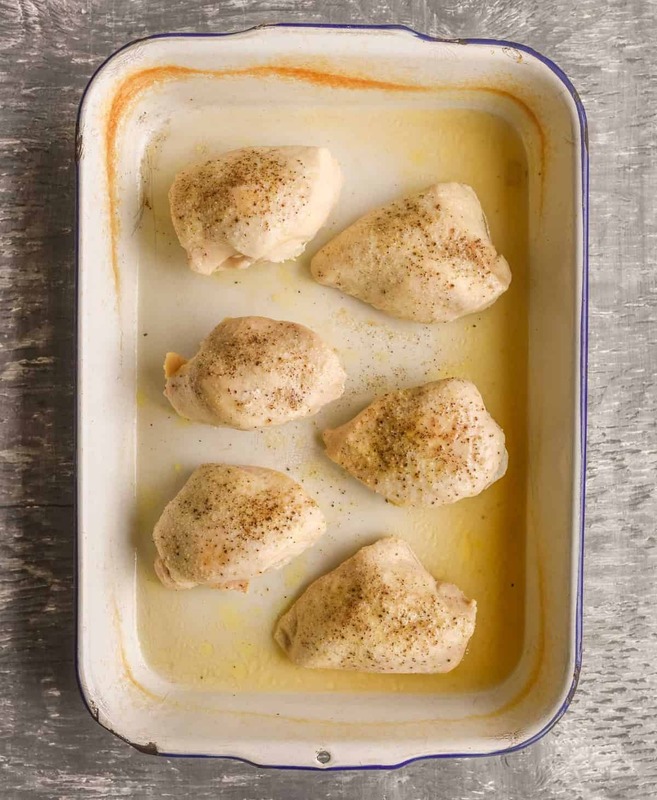 Place the chicken in a baking dish and brush with melted butter or oil on both sides. Mix the additional salt, pepper, paprika, and garlic powder together in a small bowl. Season both sides of the chicken with the seasoning mix. Once the chicken is cooked, remove the pan from the oven and loosely cover the pan with aluminum foil. Let the chicken rest for at least 5-10 minutes before serving. This baked chicken is fool-proof! Make sure that the chicken is cooked through and then let it rest. If your chicken is a little thick, it might take a few minutes longer to cook then my suggested times. This is a simple way to prep a lot of chicken. Bake a pan full, store the rest in an airtight container in the fridge, and then use it all week long. It’s really easy to chop or shred this chicken for other recipes and it reheats really well. 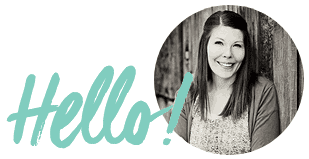 I have explained the how and why of all of the steps in a lot of detail in the post. Check it out. 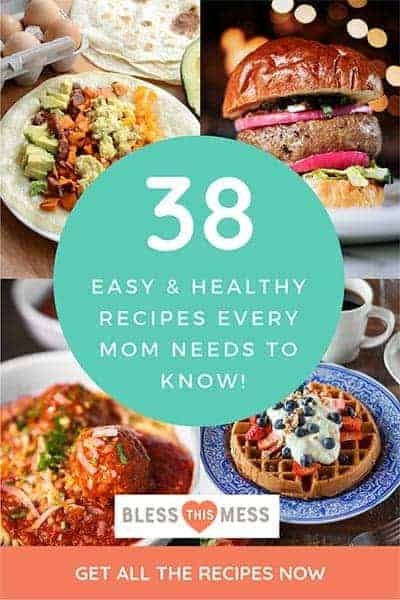 So many easy baked chicken recipes that your whole family will love! I hope you bookmark them all because you are going to love them, no matter the cut of chicken you have on hand. Enjoy from my home to yours! I just brown my chicken in a skillet for a few minutes on medium high and cover and reduce heat. Adding butter and a little chicken broth and simmer really low until the chicken just falls apart. It’s really hard to dry chicken out this way. I have been cooking chicken breast alot lately. Surprised how little time it took to brine. Happy accident. My take away from your article is patting dry, using butter and letting it rest. Mine have been pretty good but I will add these extra tips and see what happens. Thanks! Ooh, I am convinced to brine! A quick tip for pounding the chicken: Plastic bags or Saran wrap can be pretty flimsy and tear easily. Instead, save the plastic bags from cereal and cracker boxes. They’re much thicker and sturdier, and the envelope shape means you can contain any flying chicken bits while you pound your meat..
That is SUCH a great idea! Thank you for sharing it with the rest of us!